oil refinery Petrotrin after the company's board announced a shut-down of operations last week. Thank you for the opportunity to speak to you on two very important matters each of which has serious, far-reaching consequences for all the people of TT. I refer specifically to the recently announced successful conclusion of the negotiations between our country and Venezuela on natural gas supply and the closure of the Petrotrin refinery. As you would all be aware, Trinidad and Tobago is heavily dependent on our involvement in the natural gas industry by way of the processing and export of natural gas or gas-based products such as methanol, fertilizer and other products. In fact, during the last 15 years or so our economy has become increasingly much more dependent on the revenues from gas as against earnings from oil. Even more recently we have been experiencing sustained gas curtailment to our Pt Lisas plants and our national reserves have been dwindling. There were even actual plant closures with more concerns looming in the not-too-distant horizon. In the face of these developments and in this situation, very early in the life of my government we gave gas-supply arrangements the highest focus and priority. We opened and settled a gas price with our upstream companies BP and EOG, resulting in a multi-billion-dollar exploration and production frenzy in fields within our borders. We opened, negotiated and settled key outstanding gas contracts with the downstream gas users at Pt Lisas. Even as some new gas is beginning to come on stream and there have been some interesting successes in some new areas – so far we are really working very hard to replace what we are consuming, with an eye on overall growing reduction in our reserves. Under these circumstances, we opened discussions with Venezuela to get agreement on access to their large proven gas fields, just across our border. These reserves are economically and logistically more marketable from Trinidad than from Venezuela. Success in such an initiative would provide an extension of our involvement in the gas business, while it provides opportunity for Venezuela to monetise some of its gas, which otherwise would not get to market in any foreseeable time frame. After diligent work on both sides of the border, the agreement which was signed on August 25, 2018 between our National Gas Company (NGC), Shell and PDVSA, for the first time, clears the way for the construction of pipeline infrastructure to allow us access to a Venezuelan gas field. This historic development, built on the time-honoured diplomatic principle of good neighbourliness for the benefit of both nations, established a competitive gas-pricing mechanism which is sufficiently attractive to excite development of the Dragon field, which is northwest of us, as well as on the south coast cross-border fields which we share with Venezuela. It gives us some potential to grow in the medium term and diversify our gas supply base, even as it almost immediately adds to the pool of what is available for current needs. This initiative, for us, is about opening new doors towards securing our future in an increasingly competitive international business. We've done it! As a result of the priority and the attention that we have given it and the successful conclusions which have attended our sustained efforts I can today report to you that our gas industry and our future in this business that is so critical to our well-being, whilst not perfect yet, is in much better shape than it was three years ago. TT, even though small in size, is a significant player on the global stage, especially in the natural gas and petrochemical sector. Over the past decades we moved imperceptibly from oil to gas. However, we are still deeply connected and involved in the production, refining and marketing of oil, a business that has been struggling for quite some time. Such is our involvement in this business that the liabilities of the state company threaten the credit rating and the very financial stability of the country as a whole. I ask you to recall that in January 2017, in an address to the nation, I invited you to turn your attention to the troubling state of affairs at Petrotrin. At that time I alerted you to the complexity of the issues associated with the company, in particular, how it affected all of us, the citizens, especially from a financial point of view. As an example, the international rating agencies have considered the country's sovereign rating status on the basis of the troubled financial status of the oil company and strongly warn of further downgrades if nothing significant is done to improve our position in this worsening exposure. I reminded you that there is a US$850 million bond (TT$6 billion) that is coming due for payment in the form of a single payment in August 2019 and another of almost US$700 million that would be due soon after. It is with mixed feelings of sadness and of resolve that I return to this issue today, after months of review, analysis and consultations. As you are aware, the future of Petrotrin has been the subject of much negative speculation for the past several months but inevitably we must come to the time of decision-making as we are forced to abandon the procrastination and finger-pointing which have only served to worsen the eventual outcome. I appreciated the importance of the oil and gas sector to the well-being of TT before becoming Prime Minister, and that is why two of the first actions taken by the Cabinet soon after September 2015 were to appoint the Standing Committee of Energy, the sub-committee of Cabinet charged with the responsibility of deciding and directing policy in the oil and gas industry. We also appointed the boards of directors of both Petrotrin and the National Gas Company of TT Ltd (NGC). On Tuesday August 28 the board of directors of Petrotrin, after months of dedication and hard work, in analyses and consultations, met with its employees and their union representatives to announce plans for changes that would be implemented in the coming weeks and months to get the company on a path to sustainable profitability. These measures are expected to stop the taxpayers funding operations that are losing billions of dollars and to stop the haemorrhaging of much-valued, and much-demanded, foreign exchange – US dollars. 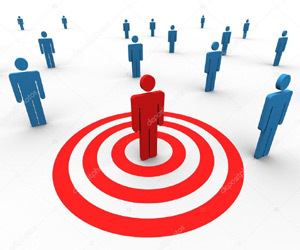 The primary objective of the announced interventions is to transform the business of the company from chronic money-losing to a return to profitability. To some, these changes may appear drastic, but the situation at Petrotrin requires drastic action. It requires intervention now, in fact before now, but the country's decision-makers, whilst knowing the problem, shied away from the negative responses that were certain to accompany any corrective action. In short, the Petrotrin fix was always seen to be bad for politics and even one's political survival, but we have arrived at a place now where its ongoing failure threatens the national survival. I humbly accept it as the embodiment of the oath of my office, to act “without fear or favour, without malice or ill will” to any person or group of persons. This government does not have the luxury of not attending to this age-old problem. Time is not on our side. To those whose kneejerk reaction to this very real crisis is to threaten chaos, to burn down the country, to spew invectives, to demonise and toss insults: none of this assists in addressing the issue in any meaningful way. This PNM government, which was responsible for building this country, knows that strength and compromise are not mutually exclusive. I would also like to remind our people that we did not always have a refinery and a Petrotrin. We came to this place because a PNM government in an earlier time took equally far-reaching steps to purchase and amalgamate the failing assets of the private sector in visionary leadership to bring about that which we are now called upon to salvage and reposition. In presenting to you the new vision for Petrotrin it is important to describe the journey to this point. The oil industry has and continues to be a major industry in TT. It had its early beginnings with the discovery of oil in La Brea in 1857. The discovery of oil created interest among a first wave of companies such as Apex (Trinidad) Oilfields Ltd, United British Oilfields of Trinidad (UBOT) and Trinidad Leaseholds Ltd (TLL). With production increasing to one million barrels per day, a number of refineries, including the Point Fortin refinery in 1912, and in 1917 the Pointe-a-Pierre refinery, were established. As TT became established as a proven oil province, international oil companies Royal Dutch (Shell), Texaco, British Petroleum and later Tesoro began operations in the country. These IOCs were succeeded by state-owned Trinidad and Tobago Oil Company Ltd (TRINTOC) and Trinidad Petroleum Company Ltd (TRINTOPEC), which were merged into the Petroleum Company of TT Ltd (Petrotrin). The oil industry in TT has a chequered past and has had to adapt to a series of domestic and global factors to ensure its survival. The industry has gone through periods of boom and bust. The initial early success in the 1920s profited from the then oil boom and led to development of new population centres in the southwestern peninsula such as Hard Bargain, Retrench and Point Fortin. However, by the 1930s discoveries of large oilfields in the USA contributed to an oversupply situation and a global fall in oil prices. The combination of low oil prices and labour issues contributed to the decline of oil profitability in the domestic economy. The latter period, 1940 to 1960, was a period of consolidation and saw the entry of the international oil companies Shell, Texaco and British Petroleum. In the early 1900s there were several small refineries operating in Trinidad, including plants in Palo Seco, Santa Flora,Brighton, La Brea and Point Fortin. These were all closed over time as they became non-viable, either because of ageing technology or supply and cost challenges. The Point Fortin refinery was the last to be shut down in 1990, to make way for Atlantic LNG, as TTshifted its emphasis from oil to natural gas. Following a period of growth, the industry was beset by rising costs, competition from supplies of low-cost crude from the Middle East and Africa, and construction of new refineries in Europe and the United Kingdom. This led to a decline in production, prices, and the subsequent withdrawal, first by Shell, and then Tesoro and Texaco from the domestic energy sector. Oil refining started in Pointe-a-Pierre in 1917, with production of 1,200 barrels per day (bpd) and by the 1980s Texaco, the owners of the refinery, with a supply of oil from all over the world, took production up to 355,000 bpd, much of it fuel oil, which was in great demand in those days. By 1984 this refining business was in trouble and losing money, facing closure by the international oil giant. It was against this background of uncertainty and even despair that on August 30 1984, under Prime Minister George Chambers, the already antiquated and failing refinery was purchased for $189.2 million, of which $98million was paid in cash and the balance paid in refined product over a ten-month period. It was against this background that our negotiating and advisory team, which included Doddridge Alleyne and Euric Bobb, two of our most distinguished sons of this nation, advised that the refinery throughput be immediately cut back to 120,000 bpd and it was noted even then that there was a need for refinery upgrade to reduce the high yield of fuel oil. Today, with a refining capacity of 140,000 bpd, the local production available for refining is 40,000 barrels. We really depend mostly on a daily importation of 100,000 bpd, which we refine at a significant and constant loss. With the help of in-depth analyses by local and foreign expertise we have looked at a number of operational business models for the refinery operations, and they all indicate that the refinery is and will continue to be an increasing money-loser. In fact the analyses show that the rest of the company, exploration and production, if operated properly and separated from the refinery, could be a good business which could produce handsome dividends to the shareholder, the taxpayers of TT. It is this advice that has finally been accepted by the Cabinet after about a year of intensive work. Within hours of the last meeting with the board to sign off on the acceptance of this direction and on this decision to close the refinery and get out of the oil importation business, I, as Prime Minister, requested a meeting with the majority trade union, the venerable OWTU. This meeting took place at the Office of the Prime Minister on Tuesday 21 August, 2018. Tough as it was and emotive as the situation is, in the presence of a group of ministers and public servant and a seven man executive group from the union, the government outlined the whole scenario of the conclusion of the yearlong exercise and indicated, to some surprise, that in order to meaningfully restructure the company, the refinery operations must cease. There is no gainsaying the fact that we have benefited well from the Chambers government purchase in 1984, but we have been struggling with the refinery since then. In the meantime, as our oil production fell consistently ,the cost of operations increased virtually uncontrollably and we basically operate a refining business which is largely dependent on foreign oil inputs. All the other refineries in the region which had this same business model, in Curacao, Aruba and St Croix, have long since closed, because they saw it as not a viable business. In TT we soldiered on and took the opportunity to the furthest that we could carry it – and that is where we are now. Permit me a moment, this evening, to share with you, the stakeholders, the citizens of TT, who are the owners of Petrotrin, why these changes are necessary now and how we got to the decisions that were announced last week. Sadly, the new entity, Petrotrin, which was entrusted with the country's proven oil reserves, has failed to fully deliver on our expectations. There have been many instances and/or arrangements which can only be described as gross mismanagement of the national patrimony. Every project within the past few decades has been subject to massive cost overruns and lengthy delays. The Gasoline Optimisation Programme, which in 2005 was estimated at a cost of US$350 million (approximately TT$2.450 billion), was completed in 2013 at a cost of US$1.8 billion (approximately TT$12.6 billion). Its Gas to Liquid Project, which originally estimated at a cost of US$165 million (approximately TT$1.155 billion), was abandoned after Petrotrin had incurred in excess of US$450 million (approximately TT$3.150 billion) and its assets were recently sold for US$35 million (approximately TT$245 million). The latest of these projects, the Ultra-Low Sulphur Diesel Project, was estimated to cost US$113 million (approximately TT$791 million) and to date Petrotrin has expended US$413 million (approximately TTD$2.891 billion). Whilst the project is 98 per cent mechanically completed, it cannot be operated because the structural specifications were not adhered to, meaning the foundation is faulty and cannot be used, and what is worse, no one nor any entity has been held accountable for this expensive travesty. The cost to rectify this omission is estimated at US$350 million (approximately TTD$2.450 billion) – money which we do not have and cannot easily borrow. Unfortunately, the nightmare does not end with these disastrous projects. The company now borders on insolvency, as its cost of operations far exceeds its revenue. Survival has only been possible through the non-payment of taxes and royalties owing to the government as well as the procuring of government guarantees for loans from financial institutions. On its assumption of office in 2015 the government recognised that Petrotrin would be a major challenge. Therefore, as stated, one of the earliest decisions of this administration was to appoint a broad-based committee, chaired by energy expert Selwyn Lashley, former permanent secretary in the Ministry of Energy. It also included Labour representatives and Leroy Mayers, former permanent secretary of the Ministry of Finance. They were to do an overview of the situation and make recommendations. 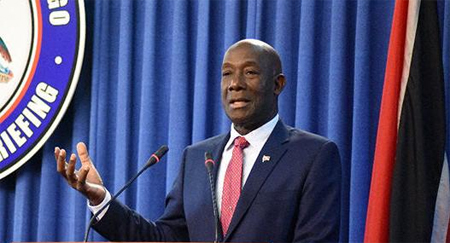 Following upon the Lashley report being submitted to the Energy Sub-Committee of the Cabinet, it was subjected to separate review and deeper analysis by the Ministry of Energy, the Ministry of Finance and by Petrotrin itself. Subsequent to the report of all these entities, a new board was appointed with a mandate to review the entire state of affairs of the company and come up with a clear business plan for its turnaround. This work has been done. Cash flow Challenges: the then current global prices for crude and petroleum products impacted negatively on Petroleum operations and as result the company was seeking a guarantee for short-term working capital credit support. At the end of 2015 short-term loans already amounted to US$715 million (approximately TT$5.005 billion). Deficient Asset Integrity : The deficiencies have been reflected in major spills. The sum of $7 billion was estimated for the required upgrade and maintenance work for plant, equipment and installations. La Brea, the Gulf of Paria, the southwestern peninsula and the Venezuelan territory have already experienced this nightmare. Declining land and marine production : Oil production averaged 45,000 barrels per day and to this day continues to decline. This decline was partially due to the company's cost of exploration and production and also due to the use by the company of its cash resources on the refinery side, including the purchase of approximately 100,000 barrels of crude oil per day, instead of using the cash on exploration and production. Manpower: the company was heavily overstaffed and there were deficiencies in technical competencies in key disciplines. Manpower costs then accounted for about 47 per cent of recurrent expenditure and the company was exploring a reduction in staffing. Financial Forecast : Management projected a loss of $648 million in 2016 and return to profit of $635 million by 2020. Debt was projected to fall from $12.3 billion in 2016 to $7.2 billion by 2020. The actual loss for 2016 turned out to be not $635 million but $4.3 billion. Management's projections were far removed from reality. Unfortunately, this kind of disconnect from reality is shared by other key elements of the equation. Petrotrin's oil production has been in steady decline. Petrotrin was overburdened with debt. The net debt at financial year-end 2015 amounted to $11.4 billion. Government provided guarantees for short-term loans of US$230 million (approximately TT$1.610 billion) to support its operations and to meet financial obligations. Taxes and royalties owed to government amounted to $3.1 billion as at February 28, 2017; viz the company was not complying with the tax laws, and even when it collected taxes from companies that paid their taxes to Petrotrin for onward transmission to the Ministry of Finance, Petrotrin was huffing and utilising those monies in its own operations. The company was unprofitable and the outlook was for a worsening of operations unless there was a significant capital injection (which could only come from the government, which, in its current financial situation, is in no position to undertake these kinds of bailout expenditures). There was a need for a paradigm shift in the governance and management of Petrotrin. The imposition of governance arrangements, which allow for transparency and accountability, including the selection of members of the board, and the company be managed as a competitive business, aimed at becoming a viable entity. The company be restructured as three independent business units, namely Trinmar, Land Exploration and Production and Refining and Marketing. In keeping with government's commitment to transparency, a meeting was held by the Minister of Energy and Energy Industries with the OWTU which was led by its president general, on Wednesday July 19, 2017, where the report was discussed. Royalty and taxes to government of $3.220 billion owed to the Ministry of Finance under law. The minister also shared with the OWTU the recommendations of the Lashley Committee for the restructuring of Petrotrin. The OWTU supported the idea of restructuring Petrotrin into business units, the need for greater accountability and the strengthening of the board of directors. It is noteworthy that in 2017 the company's auditors advised that it write off over $4 billion in accumulated losses. This had a serious impact on Petrotrin's balance sheet at a time when it was already financially crippled. The restructured Petrotrin must be managed and governed as a competitive business, aimed at becoming a sustainable, profitable entity. The company engage the recognised trade union representing the employees of Petrotrin to discuss cost-reduction and survival strategies required for the company to continue. In order to treat with this very serious and urgent assignment by September 2017 the government of TT appointed a new board of directors at Petrotrin and gave it a clear and specific mandate – to identify the specific problems at Petrotrin and take the steps necessary to make the company sustainable and profitable. Prior to the appointment of the new board of Petrotrin, I informally invited the president general of the OWTU to discuss the way forward for Petrotrin, in anticipation of the outcome of the work of the new board, but unfortunately this invitation was declined. It has always been my principle in dealing with Petrotrin to engage all stakeholders and provide us all with opportunities to work together to find solutions. I also invited labour to sit on the new board of Petrotrin but that too was declined. It should also be noted that when the government hosted, at the Hyatt, the Spotlight on the Energy Sector, once again the OWTU declined, on the grounds that it wasnot invited. Notwithstanding these responses, the government stayed focused on the task ahead and on which it was firmly engaged. The Report of the Team (the Lashley Committee) appointed to Review the operations of Petrotrin and make Recommendations for its Restructuring was laid as a paper in the House of Representatives and referred to the Joint Select Committee on Energy Affairs on Friday November 10, 2017. The committee discussed the report at a number of meetings, which included public hearings with both Petrotrin and the Ministry of Energy and Energy Industries. Now that the actual decisions have been taken in keeping with the recommendations and reviews, professional experts' overviews and detailed analysis, it is disingenuous for any person, especially those involved, to plead lack of transparency and suddenness of government action which should now be set aside in favour of “consultation” and “parliamentary” discussion. These calls are nothing but self-serving stalling tactics and political subterfuge, intended to maintain the status quo, even as the company sinks daily into a deeper quagmire and the whole country's financial situation becomes more exposed to disastrous downgrade if the Petrotrin problem is not addressed. Petrotrin is TT's largest state enterprise. It operates in the industry that has been the country's lifeblood for more than a century. It has within its portfolio some of TT most prized land and offshore oil and gas acreage. This is a company that is supposed to be one of the major contributors to the national economy. When such an enterprise is losing money to the point where it can't comply with the law, we have a major problem. As I said before, Petrotrin has become, for some time now, a ward of the treasury instead of a contributor to the treasury. b) money that is with the Ministry of Finance and needed to service the health sector, social service and other national priorities has to go to the Petrotrin to keep it afloat. This reflects itself in shortages of health care staff, insufficient medicine in the hospitals, reductions in CDAP and similar deprivations. In the education sector we have many schools where construction has been stalled for want of funds and, overall, contractors who did development works for the State, are owed hundreds of millions which we are struggling to pay so that children all over the nation can get their education in a safe and comfortable environment. There are urgent sustained priorities in national security, where we have had to ground four helicopters because we cannot afford to pay the millions to maintain them. In the social services sector, we are unable to provide an extra dollar to the vulnerable people who need it most, nor can we bring a few more needy persons onto the programmes even though their circumstances warrant the assistance. We are having difficulty convincing public servants that they cannot look forward to any significant pay increases, since the money is just not there to do so at this time. Yet the Minister of Finance is having to backstop huge losses at the refinery with little or no hope of recovery. So you see, fellow citizens, this is not just a Petrotrin issue. We are all in this together. We have all been paying towards the losses and debt that I mentioned. We are all paying to keep the bad situation going, and we will all benefit when we fix it. The current board of Petrotrin sought to get a thorough understanding of the situation at the company and worked with “best in class” advisers and petroleum-industry experts – both local and international – to determine possible options, given the company's critical financial state and its deteriorating assets. This is an opportune moment for me to tell you that the nine-member board of Petrotrin is one of the most qualified and experienced state enterprise boards, despite suggestions otherwise. From the onset it was apparent that while there was some potential on the exploration and production side of the business, refining and marketing were at best marginal. The refinery was losing money on every barrel of oil it refined. In December 2017, the new board met with the government to present its findings and later met with Petrotrin's unions and its employees to do the same. The government also met with the OWTU and other unions in February 2018 and amongst the issues discussed it was indicated to the unions, including the OWTU, that the government was intending to have a public symposium with representatives of the business community, labour and government to discuss the energy sector. This was the Spotlight on Energy . It was intended that the state of Petrotrin should be addressed at the Spotlight on Energy; unfortunately, labour advised that this seminal event should not be held and refused to attend or participate in this national discussion. Labour was the first stakeholder body to be informed of this intended initiative. It was recognised that the company and unions had a common interest with respect to the survivability, sustainability and profitability of Petrotrin. Notwithstanding its profitability in the distant past, the company and the unions understood that Petrotrin must become competitive within the principle of international benchmarks to be profitable. Petrotrin's business model has become obsolete and uncompetitive and its operating practices are inefficient. The company was nowhere in line with global industry standards and best practice. In fact the company's operations are identified as being among the most inefficient in the world. Left as it is, Petrotrin will require an immediate $25 billion cash injection just to stay alive. There is no way that the company can find this money. No financier will lend it, because the company simply will not be able to repay such an additional loan. The government certainly cannot ask you, the taxpayers, under our current circumstances, to bank-roll this state of affairs. If not fixed, on this scale, the company is projected to continue accumulating losses at a rate of about $2 billion a year. Maintenance of the status quo is not sustainable. It is unfortunately not a viable option. To do so is to saddle future generations with a massive debt burden and, at the same time, undermine the government's ability to fund urgent and necessary infrastructural works and social development. This affects every citizen of TT. If not dealt with now, the negative effects will simply just continue to get worse by the accumulation of more debt. To get the refining side of the business to a point where it might have a chance to break even would cost $7 billion. This would involve significant staff cuts, huge assumptions regarding efficiency improvements, a new ultra-low sulphur diesel facility and infrastructure upgrades, all of which are impossible to finance. The government's vision is for Petrotrin to be profitable and internationally competitive and a leader in the local energy sector; an employer of choice and a source of national pride. The board is developing a model for Petrotrin that is designed specifically to manage its assets to yield the most value for TT. The company will be better structured, with improved work processes and the capacity to respond quickly to changes in the international market. Our Pointe-a-Pierre refinery is 101 years old and has reached the end of its commercially viable days. It is now at a stage where it is haemorrhaging cash and the cost of rehabilitating it is way more than its potential ever to be profitable, competitive or sustainable. The only commercially sound and viable option is to close the refinery; export Petrotrin's oil, which will be produced by an efficient and aggressive exploration programme, and to import products to replace those previously supplied by the Pointe-a-Pierre refinery. This will move the company from a state of chronic money-losing to one which will turn a tidy profit for the taxpayers. The refining assets of Petrotrin can now be put in a separate company for opportunity attention. The OWTU will be given the first option to own and operate it on the most favourable terms. The decision to close the refinery was taken after detailed analysis and deep introspection. This is not a decision that was made lightly or easily. Options were explored and reviewed. We sent the board back on a number of occasions to consider different scenarios and possibilities. At every step the effect on workers and their families and the communities that rely on refinery operations was considered. The government is acutely aware of the traumatic effect of this development on all the workers, their families and the wider fenc line communities such as Marabella, Pointe-a-Pierre, Gasparillo, San Fernando and surroundings. In order to minimise the overall negative effects of this inevitable decision to get out of refining, the government will ensure that the workers who are surplus to the requirement of the renewed effort leave the company with an attractive separation package that should be well received and backed up by the assured pension payments to come. The wider population in these fenceline communities will benefit from some deliberate additional government expenditure on infrastructure and social support. Everyone involved in this process is acutely aware of the very significant impact that these the decisions will have on Petrotrin's employees and their families. The difficult fact is that we had no choice. To have left the company as it was would have only made the situation worse. The decision would have been taken out of our hands and we would not have been in a position to cushion the effect of the changes. By moving to fix the company now, we are in a position to treat employees with care and concern by softening the effects of the required adjustments. The company will treat every employee with dignity and provide services such as financial advice and employee-assistance programmes for psychological support. Workers are expected to receive significant financial packages upon ties being severed with the company. In refining and marketing, approximately 1,700 permanent workers will be affected. In exploration and production, employment levels are to be reduced from 1,700 workers to approximately 800 persons. A large number of these workers, those over 50, may be able to exit by way of attractive early-retirement packages. As the company now focuses on significant expansion of exploration and production activities, this will positively impact the communities of the southwestern peninsula. It will be a significant reinvigoration of the oil economy in these areas, bringing much new or expanded business not just for Petrotrin, but opportunities for the many service companies which will be associated with this new business model. In the coming weeks the government will take part in the announcement and participation in at least two significant industrial projects in the southwestern peninsula. Initiatives like these will certainly contribute to the new beginning that we are working towards. Increased drilling and production works, both on land and offshore, are to be expected in the new business model. There will be increased use of service contractors and suppliers, and this should cushion the effects of loss of some opportunities at the refinery. TT consumes less than 25,000 barrels of refined products a day (gasoline, diesel, jet fuel, etc.). The detailed economic analyses have shown that it makes far more sense for us to export the 40,000 barrels of oil that we currently produce and import the fuel we need. The company will now focus on increasing the production of barrels of oil and each barrel will be sold externally on the open market. This will help to improve the country's earning potential. In catering for the nation's needs, the company will move smoothly into bunkering of refined products for supplying the regional market without having to lose money through our own refinery inefficiencies. This week's announcement is a first step in that direction. It is now for everyone involved – the leadership, the employees, suppliers, contractors, lease operators and labour representatives – to transform this potential into reality. With the termination of the refining business and the redesign of exploration and production, Petrotrin can now independently finance all of its debt and become a sustainable business. It will also ease the burden on the Ministry of Finance thereby making more resources available to service the needs of the wider population in all areas of national development. There is opportunity for new entrepreneurship to grow and workers and businesses should not be misled and fall prey to misinformation and fearmongering. Change like this is always difficult and even traumatic; but the good of the country must look ahead. We see this as an opportunity to save the country from financial disaster and turn around a situation that had become an unsustainable drain on taxpayers. But let us not be naïve: there are elements in our society who do not view this change the same way, but see it as an opportunity to further their own ends in mischief-making. I am appealing to all those directly or indirectly affected to be strong and have faith in your country. I want to give you the assurance that the same resolve that took us to make the decision to close the refinery is the same strength of character which will see this government put your anxiety ahead of any other consideration and will undertake to allocate resources so that calm and prosperity will soon return to you and your neighbourhoods. During this difficult period of transition and uncertainty, there will be those who have different views on the way forward; this is only natural. It is important that everyone who works for or with Petrotrin remains committed to operating in the best interest of all the people of TT and acknowledges their obligation to the nation. We appeal for the understanding and support of all contractors and employees (permanent, temporary or casual) at this critical time in the company's history. Unnecessary work stoppages and other contrived industrial actions are not in the nation's best interest. This will only obstruct the already embattled company, and delay this irreversible and unavoidable process geared towards converting a money-losing company into a profitable enterprise for the benefit of the entire nation. It is my sincere hope that you will recognise the implications that such action can have on our stakeholders, including those to whom we are heavily indebted, and ask that you make the best decision not just for you but for your children. Let us all work together to make Petrotrin the success it can be. I am confident all persons will place national interest at the forefront and that the reinvented Petrotrin will assume its rightful place in the oil and gas sector of TT. May God continue to bless TT. Dr. the Hon. Keith Christopher Rowley MP is the current Prime Minister of Trinidad and Tobago, in office since September 2015. He has led the People's National Movement since May 2010 and was Leader of the Opposition from 2010 to 2015. Petroleumworld does not necessarily share these views. Editor's Note: This speech was originally published by the Office of the Prime Minister Republic of Trinidad and Tobago, Sep 3rd., 2018 . All comments posted and published on Petroleumworld, do not reflect either for or against the opinion expressed in the comment as an endorsement of Petroleumworld. All works published by Petroleumworld are in accordance with Title 17 U.S.C. Section 107, this material is distributed without profit to those who have expressed a prior interest in receiving the included information for research and educational purposes.Petroleumworld has no affiliation whatsoever with the originator of this article nor is Petroleumworld endorsed or sponsored by the originator. P etroleumworld encourages persons to reproduce, reprint, or broadcast Petroleumworld articles provided that any such reproduction identify the original source, http://www.petroleumworld.com or else and it is done within the fair use as provided for in section 107 of the US Copyright Law. Internet web links to http://www.petroleumworld.com are appreciated. Petroleumworld or respective author or news agency. All rights reserved.